This is the first Paula Daly novel that I have read and I just loved it. The thing is it isn’t a fast paced racy read but one that weaves itself into your mind and just simply builds into what I can only describe as one to be highly recommended to everyone. These days it is not unusual to find mixed families and that is the case for this story. Three children Ewan being Karen’s son from an earlier relationship, Verity is the daughter of GP Noel, her mum is in a care home having developed severe MS and finally Bronte, who is the daughter of both Karen and Noel. Unfortunately they are far from the perfect family. Karen is very much the commander to be heard by everyone. The one to be obeyed and Noel is the down trodden husband that goes along with everything for a peaceful life. Although Verity is a very bright young girl Karen is determined to mould Bronte into a little genius at everything possible. The dislike that Karen holds form Verity is quite heart breaking. 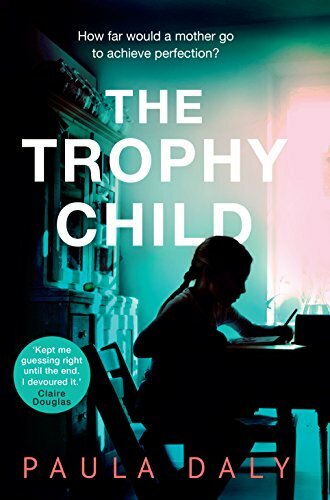 Karen is ruthless in the pursuit for perfection for Bronte to the point where she cannot even feel her little fingers regularly from all the practising she does to become an accomplished musician besides an outstanding student that is academically untouchable. When Bronte disappears while in the care of Verity it becomes a case for DS Joanne Aspinall whom I really took to straight away. She certainly gave me one of the best ever cringe worthy moments that I have read. One I could see coming and had to read with just one eye open, brilliant, and I am sure one that has happened for real at more than one time. This story just kept growing with far more to it that I ever thought was going to happen. I really enjoyed the style of Paula Daly’s writing, the different characters that grew at different rates, really like people you meet, some you sus straight away others you need time to work them out as there is far more to them than first thought. A very clever story one that gave me a lot to think about morally in so many ways. Super read. I read Paula’s previous novel and while I liked it, I didn’t love it as much as I hoped… but i’m definitely curious about this one thanks to your review!! !